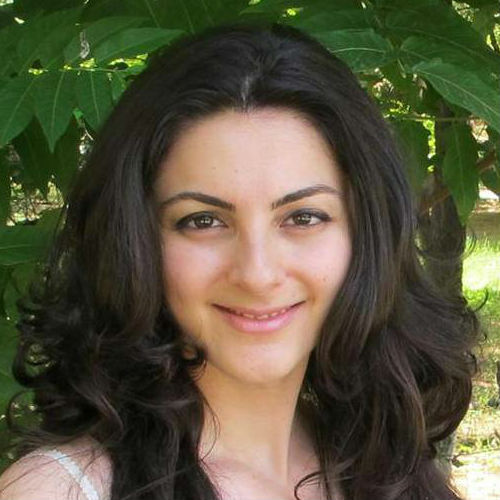 Mary Hakobyan is a highly experienced Eastern Armenian Language teacher with a diverse teaching and educational background. She graduated from Yerevan State University, the faculty of Romance and Germanic languages in 2007 with a Master’s Degree in Philology. In 2011, she was awarded a certificate in ''Classical Orthography of Armenian Language'' by the Mashtots Union, based in Paris. She worked at the Birthright Armenia Foundation as an Armenian Language teacher for seven years. Additionally, she tutored ambassadors, diplomats and foreigners in Eastern Armenian with a self-developed curriculum, adopting an entirely new approach to teaching and learning Armenian. Mary designed her textbook taking into consideration all the difficulties and obstacles the students came across when learning a new language. The textbook is a result of her innovative teaching methods which she exercised with her students.